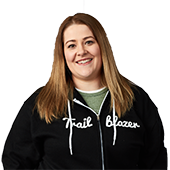 Trailhead has given me the confidence to do my job and mentor others. It is a resource I can confidently point anyone toward, knowing they will get the support they need to start learning. In ancient times, the 2011 to be exact, my company rolled out Email-to-Case and they chose me to be the Admin. While I had taken the Administration Essentials for New Admins 5-day course, I had yet to have any hands-on experience at work, so I was a bit nervous. I will never forget the first day we went live - it was exciting and nerve-racking at the same time. It wasn’t until Dreamforce 2016 that I started learning on Trailhead. 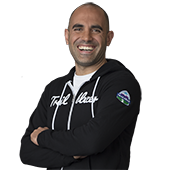 I completed the Dreamforce Ready badge and started looking around to what else I could learn – within an hour I was feeling the rush of confidence and fun that came with every new badge. By the end of the weekend I had earned 50 badges. When did you beat “Imposter Syndrome” and realize you are a Salesforce Expert? I volunteered to staff a Dreamforce booth in the Admin Meadow, turns out I was assigned to a booth called “Ask the Experts.” I didn't view myself as an expert and wasn't very comfortable with the idea of being labeled one. But I decided to go for it and give it my best. Working in the booth, I quickly found myself answering loads of questions, and enjoying it. I knew how to help everyone who came to the booth and even where to direct them in Trailhead to try examples out on their own. I ended up doing two extra hours of volunteering that day, just for fun! It was shocking to realize I belonged in the “Ask the Expert” booth! My company is looking to use Omni-Channel to streamline assignments for our service agents. With the help of Trailhead and all of the service content on Omni-Channel, I was able to build out a proof-of-concept in my Trailhead Playground and answer questions and demonstrate the functionality of Omni-Channel for my team. 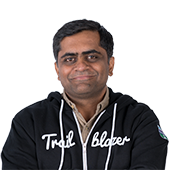 I've been able to move the project along at a faster pace because of what Trailhead allowed me to learn and demo. Which Salesforce-related accomplishment are you most proud of? I'm most proud of my work connecting the Trailblazer community together on a personal level through Ohana Coffee. Whenever I get messages that people have met “in real life” after meeting through Ohana Coffee it warms my heart. I have made some of the strongest relationships through the Trailblazer community and Ohana Coffee. 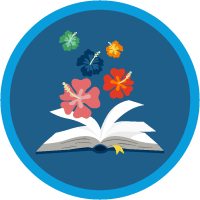 Trailhead is my playbook for all things Salesforce. If I'm not sure of something, I'll go check Trailhead. 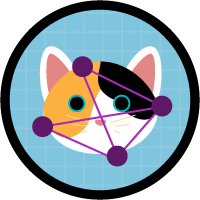 If I have to build a new feature for work, I will go to Trailhead and build it in my Trailhead Playground and present to my team first. If someone asks me a question or for help, I can direct them to a carefully thought-out module instead of having to think up my own bespoke training. 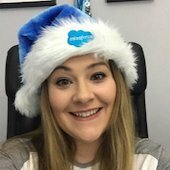 I volunteer for several non profit organizations in Ireland to Admin support, as well as train them to be more self-sufficient using Trailhead. 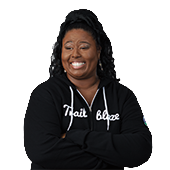 I mentor local college students on skills they will need in the workforce, not necessarily Admin and Dev skills, but general Salesforce skills they will need to just be “business literate.” I'm also a little evangelist to my friends and family. I even have my mother doing Trailhead to up-skill and keep learning! Being a Trailblazer means continuously learning and always moving forward, but at the same time always helping others succeed along the trail. 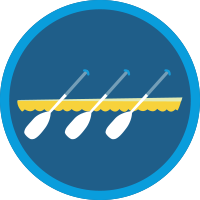 Trailhead has enabled me to give back to my community through volunteering. It has given me the confidence to do my job and mentor others. It is a resource I can confidently point anyone toward, knowing they will get the support they need to start learning. Where's your dream travel destination?